At Pubcon yesterday, Gary Illyes confirmed that Google is planning to implement more search features to the search results that are pulled from structured data found on webpages. 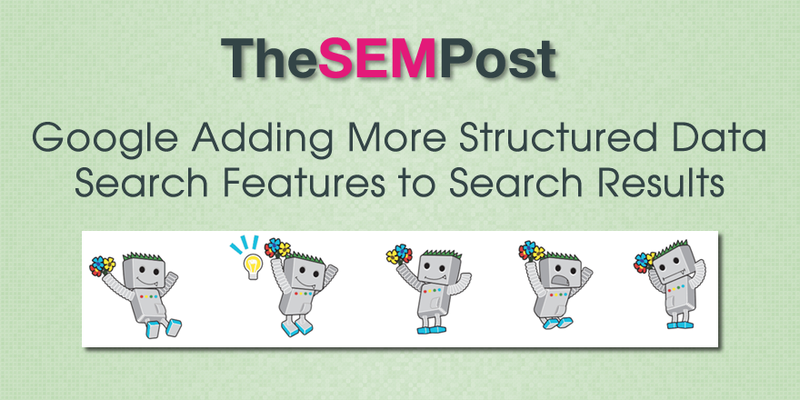 As part of a longer conversation about schema being used to help Google better understand and rank webpages, he said that Google will be focusing quite a bit on structured data and the types of schema they use for search features. Next year, there will be two things we want to focus on. The first is structured data. You can expect more applications for structured data, more stuff like jobs, like recipes, like products, etc. Often Google adds search features unexpectedly that are based on schema, sometimes with announcements but other times they just appear without any notice at all. So it does make sense to begin looking at the types of schema that could be added to the site, and this includes schema that Google does not currently showcase in their own developer site, which is primarily for schema already being used by Google. As a caveat, don’t misuse schema by using inappropriate schema types on inappropriate paages. You still want to make sure that you are implementing the schema where it makes sense, because if you start spamming with schema, you can find yourself on the receieving end of a spammy structured data manual action from Google, which will strip out all search features from the site. I’m aware this was posted a couple months ago, but was there any word as to whether the data (or certain pieces of specific un/structured data) will be pulled into both organic and paid listings, similar to say Seller Ratings?